(This is Book 2 of the Sanctuary&apos;s Aggression Series. 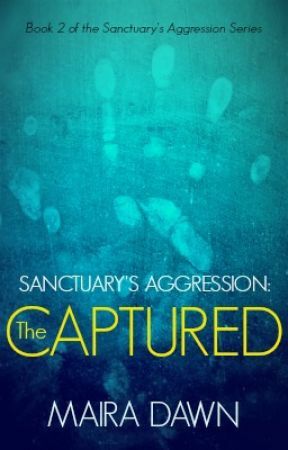 Before reading this book, you may want to read Book 1 entitled, Sanctuary&apos;s Aggression). One look at the sleepy seaside town and there was no mistaking the devastation that had rolled over it. It took a second, third or even a fourth look to see that what was left was evil. It had been hard hit by the hurricane, and even as the violent storm had blasted its way through the town, another calamity was underway. The AgFlu was spreading, and infants to the elderly had fallen victim to one or the other. The very strong had held on for a while, clinging to each other and sobbing during the worst of the screaming winds. Then, limp and defeated when they were over and shivering in fear of contracting the disease. Even some of these, with time, the AgFlu took. Others had still roamed the dusty ruins of the city in their sickened condition for weeks hoping each day would bring their release from the disgusting disease. Until they couldn&apos;t hope at all, but were just some shell of a person with very little reason moving them from one street to another, a danger to anyone left. Even through all this, some truly fortunate remained, though most doubted the word applied. Their homes destroyed, the world&apos;s fate reflected in their once lovely town, they saw only ruined homes open to the elements and streets filled with debris and abandoned cars. 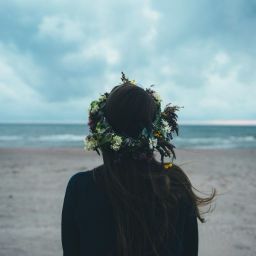 Somehow they&apos;d survived the gale force winds, the disease and the attacks of the Sick and Infected only to be at a loss at how to continue with the gift they had managed to somehow hold on to, the gift of life. All eyes had turned to the only intact building left, a building once used for enjoyment and education, and one by one the healthy turned up at its doors. They were welcomed into the building. Once invited in, the healthy never left, except for one man. In the dead of night, he had crept through the crowded hallways full of sleeping people and found the door to freedom. And then he had run as far and as fast as he could, telling his story to any living he found. The word spread until no one was sure if it were fact or fiction. But none would chance to find out. That town, that building, was somewhere a person didn&apos;t want to be. Of all the dangerous places that had sprung up since the AgFlu had begun, it was rumored to be the most dangerous of all. From the outside, the building seemed the same as it always had. Brick, sturdy walls had helped it survive the storm. The windows that had been blown out had been covered, giving it a somewhat eerie look. But no worse than other buildings on the street. Inside it was clean, too clean for a deserted building, so one knew right away that it was inhabited. The public areas were dark, dim and empty. It was the areas marked Private that hummed with activity. Test tubes, beakers, and Petri dishes lined the pristine white countertops along with the most modern research equipment to be found. Men and women in white coats, pens in hand and glasses firmly planted on their faces breathed through masks as they investigated their findings. Their gloved fingers quickly scribbling into notebooks as they checked and doubled checked all their numbers. All of the lab techs worked diligently, giving everything they had to find something, anything that would slow the disease. Cure was a four-letter word that they refused even to consider. But if they could slow it, that would give them time and time was the most valuable commodity there was right now. Time could mean life and a chance, a chance for humankind to continue on as best it could in what was left of this world. Convinced that everything they did, good or evil, had to be done, needed to be done, to save everyone or maybe just to save someone. Hallways were stuffed with the cots, bedding and plastic tubs filled with personal items of the lab techs. Their lives consisted of two things, research and what few hours of sleep they could grab along the aisleway. Any other activities were quickly snuffed out by the higherups. It had been carefully explained and repeated daily that if they were not productive, then they were not necessary. No one wanted to be considered unnecessary. A turn into the specimen room seemed innocent enough at first, but it was that room that actually told the tale. One could hear the chattering of the small animals before they saw them. The mice, hamsters, and rats that skittered to the back of their cages in fear when a lab tech&apos;s cast about for them. Unusual research animals had made their way here, a tribute to the wild unwieldy nature of the research. Squirrel, reptiles and even a chicken lived in the cages that lined the walls. Primates were next screeching their distress as one passed by. But the truly odd thing or things one found in this specimen room were the men, women and even children that occupied the cages that come next. They moaned and cried even as they tried to console one another. Being told this was for the good of all mankind did not lessen their fear or their pain. Pain came from the scientists. Fear came from what was across from them. Extra thick metal bars held them in their cramped quarters, contained to the point of distress, they raged against their imprisonment. The mere sight of them unnerved the people that sat those few feet away and the roars from the two specimens frightened the humans to the point of trembling. An attractive, dark-haired man in dress clothes and a white coat walked into the room accompanied by two assistants. "We&apos;re going to need more of them. These are just about done for." He said waving toward the caged men. While the assistants cringed at the order, the man that spoke had no misgivings about what he was saying. He pointed first to the people than to the specimens across from them. "Let these go in the usual place. And do what we usually do with these. And get more quickly, we need them yesterday. We can&apos;t have this holding us up." The men, women, and children cried in happiness over their release as they looked across the way and thanked God they weren&apos;t them.